Curious if, in your research, you uncovered any maps? Fingers crossed, I am on the cusp of completing that part of the mapping project involving the POTB. Hi Ed. Thanks for your comment, glad you enjoyed the story. I’ve added the 1945 Portland Traction Company map to the collection of maps, which you can find here. 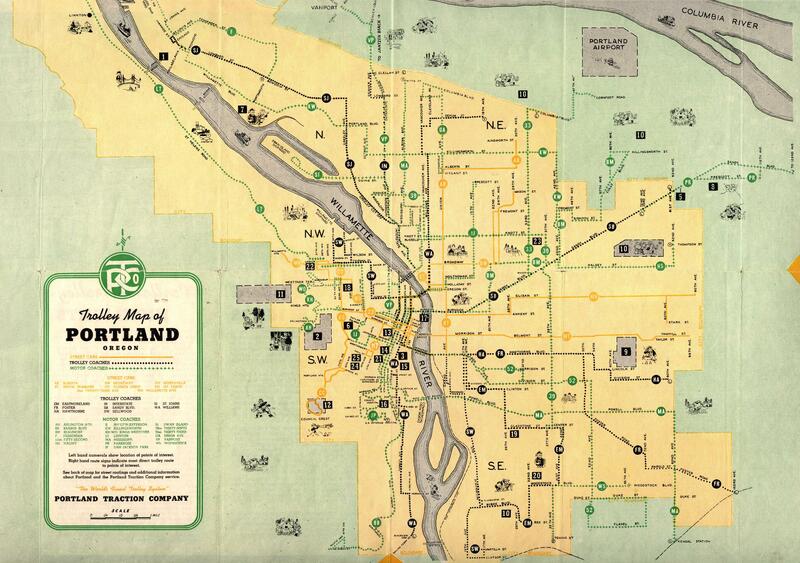 I’ve also linked a great website run by Portland Vintage Trolleys that shows detailed route maps and histories. Good luck in the final stretch of POTB mapping.